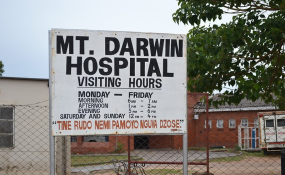 District medical officer Dr George Mapiye said tests had confirmed that the disease was cholera and they now awaited sensitive tests to determine the appropriate medicine to administer. Dr Mapiye said the cases had now risen to 79. "We can confirm that it is cholera because the tests we conducted showed that it is cholera," he said. We are now doing sensitive tests which will guide us on the type of medicine to administer. "The number of those affected has risen to 79 and we have recorded four deaths. "As a district, we are setting up a cholera treatment camp in Mukaradzi area. The patients have been isolated." The artisanal miners were, however, defiant and returned to the area. It seems the cholera outbreak was triggered by rains which the area received last week.